Bell Geospace has been awarded a contract to acquire approximately 2,396 linear km of airborne survey data over the Kirkland Lake area, Ontario, Canada. The project is intended to map rock density variations that are associated with changes in geologic structures in support of gold exploration. Flights commenced on September 24th, 2015, and subject to weather conditions will be completed shortly. 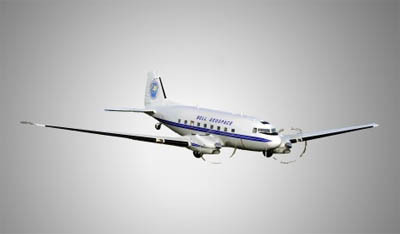 The survey will be conducted using a Basler BT-67, which is a modified DC-3 with turboprop engines and modern instrumentation, flying at low altitude. Scott Hammond, CEO of Bell Geospace, said that he was glad to be working on a minerals project again. 'We have been staying quite busy with oil and gas surveys over the past few years while mining activity slowed. This survey highlights the high-resolution capability of Full Tensor Gravity Gradiometry surveying which provides great value to our mining clients. We look forward to be being able to deliver the interpreted data within a few weeks'.